In their quest for predictability and affordability, businesses include binding commercial arbitration provisions in their agreements forcing Plaintiffs/Claimants to resolve their commercial and business disputes in a private forum. In most cases in the United States that means the claims are heard by either JAMS or the American Arbitration Association (“AAA”). Arbitration is very different than court litigation and it’s important to hire attorneys familiar with the unique rules for commercial arbitration in each forum. Our Chicago Arbitration Attorneys have arbitrated hundreds of matters and are very familiar with AAA, JAMS, and other providers of alternative dispute resolution. In order to realize arbitration’s promise of greater certainty and lower costs, you (or your attorney) must take advantage of the control you are given. Which Law Applies in Commercial Arbitration? Start by choosing which law to apply. Nearly 30 years ago, the U.S. Supreme Court held, in Volt Information Sciences, Inc. v. Board of Trustees of the Leland Stanford Junior University, 489 U.S. 468 (1989), that the Federal Arbitration Act did not preempt the California Arbitration Act in an interstate dispute where the parties agreed that their contract would be governed by California law. Bottom line: make sure the arbitration clause of your agreement reflects what is best for your business or venture. Who Applies the Law in Commercial Arbitration? Unlike Court the parties actually can pick the judge who hears your case in arbitration. The Chicago Arbitration Lawyers at Stoltmann Law Offices know the importance of choosing the right arbitrator. The old adage of good lawyers know the law and great lawyers know the judge couldn’t be truer in arbitration where the attorneys chose the judge who hears your case. Arbitrators have much more discretion and no risk of appeal so choosing the right one is very important. Experienced Chicago Arbitration Attorneys pick a judge whose style and experience fits the facts of your case. With our depth of experience and attorney referral network we are usually able to try your case with an arbitrator we’ve worked with before or have colleagues who have tried cased with the arbitrator appointed to your case that we can plan strategy with. If the parties cannot agree on an arbitrator AAA and JAMS offer differing approaches on appointing arbitrators but all start with a selection process controlled by the Chicago Arbitration Attorneys. AAA provides lists of ten arbitrators from its National Roster for the parties to agree to. JAMS, on the other hand, provides the parties a list of at least three candidates from which they can eliminate one and rank the remainders. The candidate-arbitrator with the highest composite ranking shall be appointed arbitrator, and if no arbitrator is yielded by this process, then JAMS will designate the arbitrator. What Rules Apply to Commercial Arbitration? R-1(b) Unless the parties or the AAA determines otherwise, the Expedited Procedures shall apply in any case in which no disclosed claim or counterclaim exceeds $75,000, exclusive of interest, attorneys’ fees, and arbitration fees and costs. Parties may also agree to use these procedures in larger cases. Unless the parties agree otherwise, these procedures will not apply in cases involving more than two parties. The Expedited Procedures shall be applied as described in Sections E-1 through E-10 of these rules, in addition to any other portion of these rules that is not in conflict with the Expedited Procedures. (d) The Arbitrator may, upon a showing of good cause or sua sponte, when necessary to facilitate the Arbitration, extend any deadlines established in these Rules, provided that the time for rendering the Award may be altered only in accordance with Rules 22(i) or 24. R-7. Jurisdiction (a) The arbitrator shall have the power to rule on his or her own jurisdiction, including any objections with respect to the existence, scope, or validity of the arbitration agreement or to the arbitrability of any claim or counterclaim. (b) The arbitrator shall have the power to determine the existence or validity of a contract of which an arbitration clause forms a part. Such an arbitration clause shall be treated as an agreement independent of the other terms of the contract. A decision by the arbitrator that the contract is null and void shall not for that reason alone render invalid the arbitration clause. (c) A party must object to the jurisdiction of the arbitrator or to the arbitrability of a claim or counterclaim no later than the filing of the answering statement to the claim or counterclaim that gives rise to the objection. The arbitrator may rule on such objections as a preliminary matter or as part of the final award. R-8. Interpretation and Application of Rules The arbitrator shall interpret and apply these rules insofar as they relate to the arbitrator’s powers and duties. When there is more than one arbitrator and a difference arises among them concerning the meaning or application of these rules, it shall be decided by a majority vote. If that is not possible, either an arbitrator or a party may refer the question to the AAA for final decision. All other rules shall be interpreted and applied by the AAA. R-9. Mediation In all cases where a claim or counterclaim exceeds $75,000, upon the AAA’s administration of the arbitration or at any time while the arbitration is pending, the parties shall mediate their dispute pursuant to the applicable provisions of the AAA’s Commercial Mediation Procedures, or as otherwise agreed by the parties. Absent an agreement of the parties to the contrary, the mediation shall take place concurrently with the arbitration and shall not serve to delay the arbitration proceedings. However, any party to an arbitration may unilaterally opt out of this rule upon notification to the AAA and the other parties to the arbitration. The parties shall confirm the completion of any mediation or any decision to opt out of this rule to the AAA. Unless agreed to by all parties and the mediator, the mediator shall not be appointed as an arbitrator to the case. (a) The Parties may agree, at any stage of the Arbitration process, to submit the case to JAMS for mediation. The JAMS mediator assigned to the case may not be the Arbitrator or a member of the Appeal Panel, unless the Parties so agree, pursuant to Rule 28(b). R-11. Fixing of Locale The parties may mutually agree on the locale where the arbitration is to be held. Any disputes regarding the locale that are to be decided by the AAA must be submitted to the AAA and all other parties within 14 calendar days from the date of the AAA’s initiation of the case or the date established by the AAA. Disputes regarding locale shall be determined in the following manner: (a) When the parties’ arbitration agreement is silent with respect to locale, and if the parties disagree as to the locale, the AAA may initially determine the place of arbitration, subject to the power of the arbitrator after appointment, to make a final determination on the locale. (b) When the parties’ arbitration agreement requires a specific locale, absent the parties’ agreement to change it, or a determination by the arbitrator upon appointment that applicable law requires a different locale, the locale shall be that specified in the arbitration agreement. (c) If the reference to a locale in the arbitration agreement is ambiguous, and the parties are unable to agree to a specific locale, the AAA shall determine the locale, subject to the power of the arbitrator to finally determine the locale. The arbitrator, at the arbitrator’s sole discretion, shall have the authority to conduct special hearings for document production purposes or otherwise at other locations if reasonably necessary and beneficial to the process. R-12. Appointment from National Roster If the parties have not appointed an arbitrator and have not provided any other method of appointment, the arbitrator shall be appointed in the following manner: (a) The AAA shall send simultaneously to each party to the dispute an identical list of 10 (unless the AAA decides that a different number is appropriate) names of persons chosen from the National Roster. The parties are encouraged to agree to an arbitrator from the submitted list and to advise the AAA of their agreement. (b) If the parties are unable to agree upon an arbitrator, each party to the dispute shall have 14 calendar days from the transmittal date in which to strike names objected to, number the remaining names in order of preference, and return the list to the AAA. The parties are not required to exchange selection lists. If a party does not return the list within the time specified, all persons named therein shall be deemed acceptable to that party. From among the persons who have been approved on both lists, and in accordance with the designated order of mutual preference, the AAA shall invite the acceptance of an arbitrator to serve. If the parties fail to agree on any of the persons named, or if acceptable arbitrators are unable to act, or if for any other reason the appointment cannot be made from the submitted lists, the AAA shall have the power to make the appointment from among other members of the National Roster without the submission of additional lists. (c) Unless the parties agree otherwise, when there are two or more claimants or two or more respondents, the AAA may appoint all the arbitrators. Section R-13, either the parties have directly appointed arbitrators, or the arbitrators have been appointed by the AAA, and the parties have authorized them to appoint a chairperson within a specified time and no appointment is made within that time or any agreed extension, the AAA may appoint the chairperson. (b) If no period of time is specified for appointment of the chairperson, and the party-appointed arbitrators or the parties do not make the appointment within 14 calendar days from the date of the appointment of the last party-appointed arbitrator, the AAA may appoint the chairperson. (c) If the parties have agreed that their party-appointed arbitrators shall appoint the chairperson from the National Roster, the AAA shall furnish to the party-appointed arbitrators, in the manner provided in Section R-12, a list selected from the National Roster, and the appointment of the chairperson shall be made as provided in that Section. R-23. Enforcement Powers of the Arbitrator The arbitrator shall have the authority to issue any orders necessary to enforce the provisions of rules R-21 and R-22 and to otherwise achieve a fair, efficient and economical resolution of the case, including, without limitation: (a) conditioning any exchange or production of confidential documents and information, and the admission of confidential evidence at the hearing, on appropriate orders to preserve such confidentiality; (b) imposing reasonable search parameters for electronic and other documents if the parties are unable to agree; (c) allocating costs of producing documentation, including electronically stored documentation; (d) in the case of willful non-compliance with any order issued by the arbitrator, drawing adverse inferences, excluding evidence and other submissions, and/or making special allocations of costs or an interim award of costs arising from such non-compliance; and (e) issuing any other enforcement orders which the arbitrator is empowered to issue under applicable law. (a) The Arbitration shall be conducted by one neutral Arbitrator, unless all Parties agree otherwise. 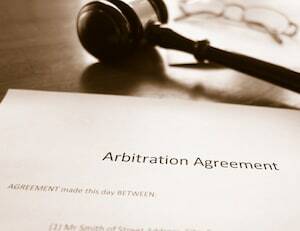 In these Rules, the term “Arbitrator” shall mean, as the context requires, the Arbitrator or the panel of Arbitrators in a tripartite Arbitration. (b) In cases involving more than one Arbitrator, the Parties shall agree on, or, in the absence of agreement, JAMS shall designate, the Chairperson of the Arbitration Panel. If the Parties and the Arbitrators agree, a single member of the Arbitration Panel may, acting alone, decide discovery and procedural matters, including the conduct of hearings to receive documents and testimony from third parties who have been subpoenaed to produce documents. (c) Where the Parties have agreed that each Party is to name one Arbitrator, the Arbitrators so named shall be neutral and independent of the appointing Party, unless the Parties have agreed that they shall be non-neutral. R-33. Dispositive Motions The arbitrator may allow the filing of and make rulings upon a dispositive motion only if the arbitrator determines that the moving party has shown that the motion is likely to succeed and dispose of or narrow the issues in the case. The Arbitrator may permit any Party to file a Motion for Summary Disposition of a particular claim or issue, either by agreement of all interested Parties or at the request of one Party, provided other interested Parties have reasonable notice to respond to the request. Businesses and individuals that are involved in complex commercial arbitration can count on the Stoltmann Law Offices Commercial Litigation Group to zealously prosecute their interests on a contingent or flat fee basis. If you are involved in an arbitration claim, the Chicago lawyers at the Stoltmann Law Offices Commercial Litigation Group can provide knowledgeable legal representation. Call us at 312-332-4200. We represent clients throughout Cook County, including in Mount Prospect, Oak Lawn, Winnetka, and Oak Park, as well as in DuPage County cities such as Naperville and Aurora.